On this day in 1911 the DELAG airliner LZ-8 (Deutschland) was destroyed in an accident. 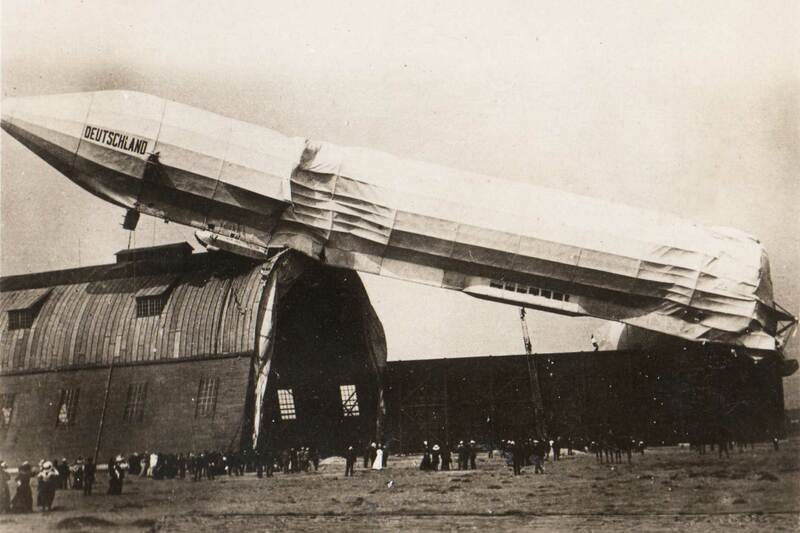 Hugo Eckener was in command of an airship for the first time and LZ-8 had barely left its hangar when it was pulled away from its ground crew by a gust of wind. The ship smashed against the roof of the hangar, but the passengers and crew escaped without injury by climbing down a long fire ladder. The ship itself was a total loss. The day’s gusty wind conditions made the flight ill-advised from the start and the wreck of LZ-8 contributed to the extreme caution for which Hugo Eckener became famous. Eckener learned an important lesson from the accident, and he was determined never again to sacrifice safety to accomodate pressure from passengers, the public, the government, or any other source.